Grippo’s AND Grippo’s BBQ sauce!? A match made in heaven? While there are a handful of places in Columbus where Grippo’s can be obtained (the downtown Hills Market for one), they’re not nearly as prevalent as they are in the Cincinnati area. That’s why, whenever we’re down there, I make sure to pick up a bag or two. Most recently, Tania and I were at Jungle Jim’s and I was about to stock up as per usual. That’s when I noticed a new (or at least new to me) product sitting next to the chips: Grippo’s BBQ sauce in a bottle. I love BBQ sauce. Love it. My pantry is currently stocked with a wide variety of sauces from the obscure local to the readily available mass market. So it’s not like I needed more sauce. But on the other hand, it was Grippo’s. In a bottle. I was tempted. Grippo’s, prior to the heart-wrenching crushing that they had to endure. 1. Beat together egg and buttermilk. 2. 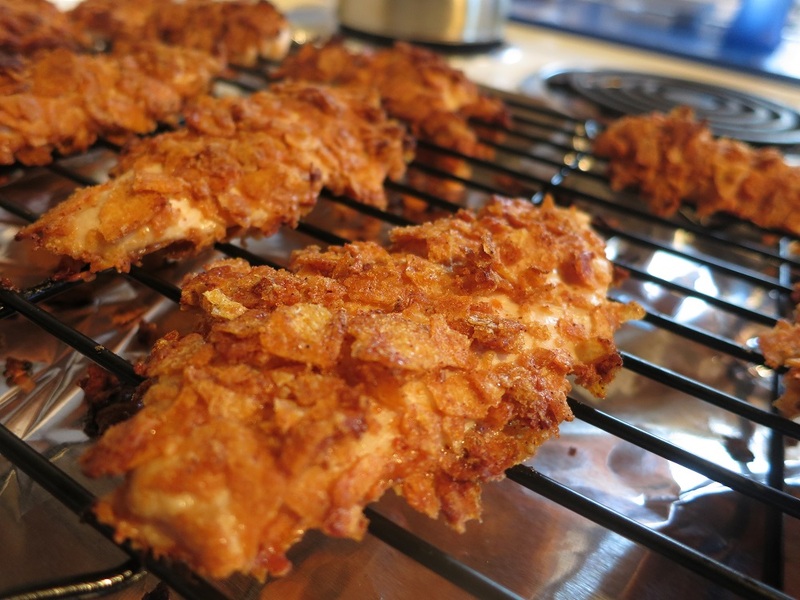 Place chicken tenders in buttermilk/egg mixture. 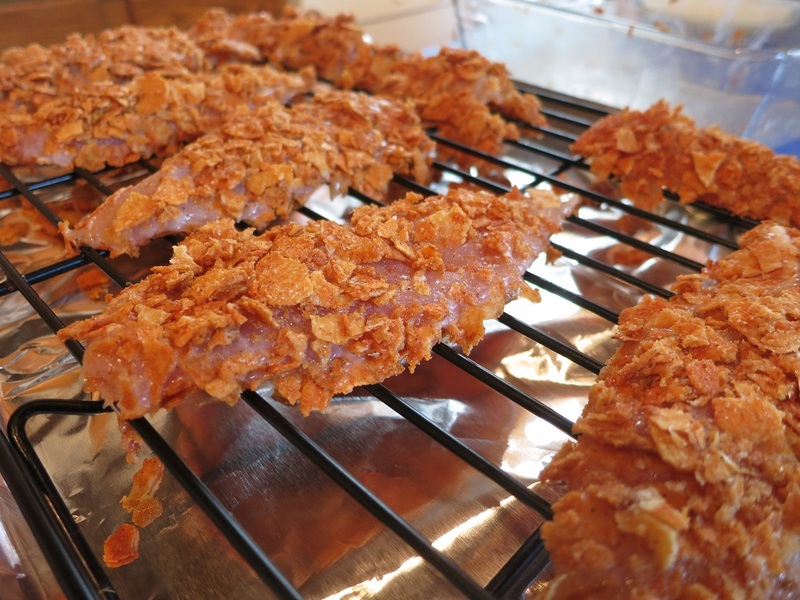 Chicken tenders, just hanging out in the buttermilk/egg mixture. 3. Pour Grippo’s into shallow dish. Smash into little pieces. 4. 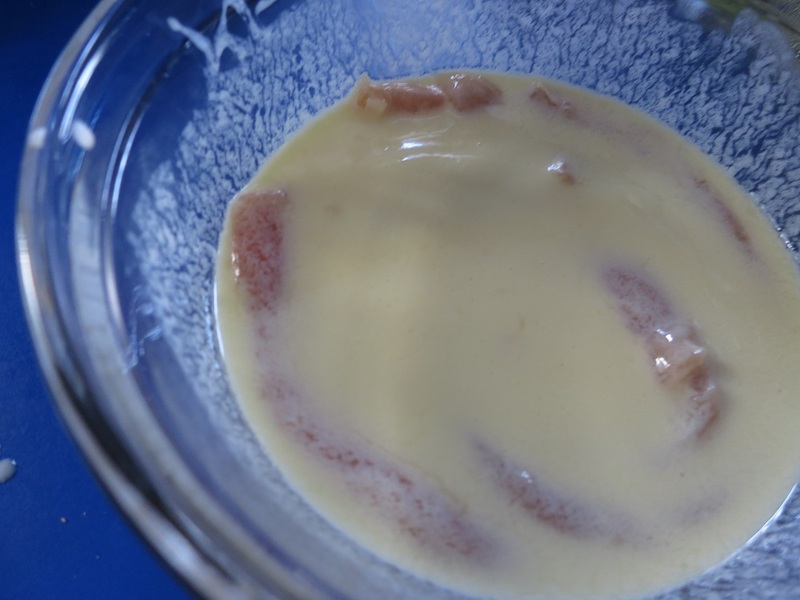 Working with one tender at a time, remove from buttermilk/egg mixture and roll in dish containing Grippo’s until coated. Make sure to press relatively hard in order to get Grippo’s to stick. 5. Place on wire rack on a baking sheet. A full tray of Grippo’s-crusted chicken, ready for their closeup . . . with the oven. 6. Repeat for all tenders. 7. Bake at 400 degrees for 20-25 minutes. Making these was quite easy. Probably the hardest thing about the whole process was summoning up the willpower to resist eating the Grippo’s prior to using them to coat the chicken. Fully baked, and fully juicy, Grippo’s tenders. 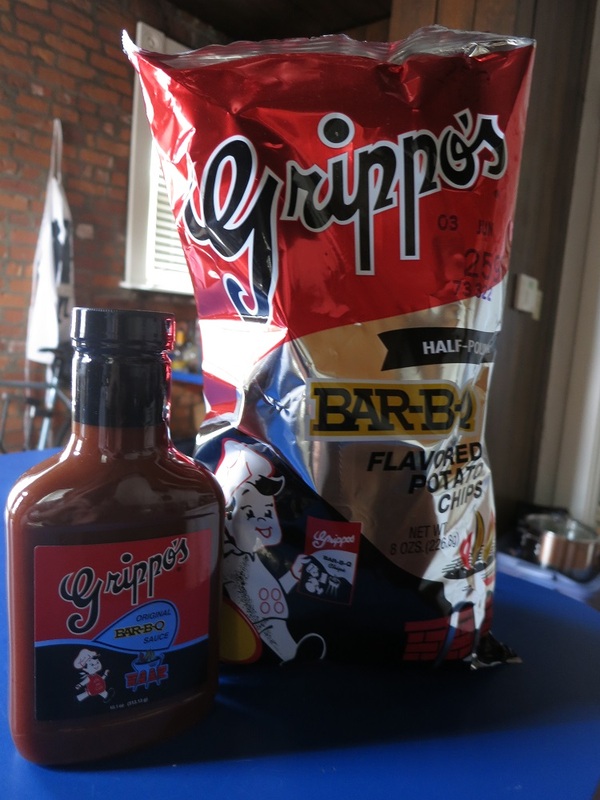 Now, you may be asking yourself: was the combination of Grippo’s and Grippo’s BBQ sauce overkill? Honestly, the answer is probably yes. There was a whole lot of flavor going on though, that’s for sure. In the future, I may stick with just the Grippo’s crusted chicken. 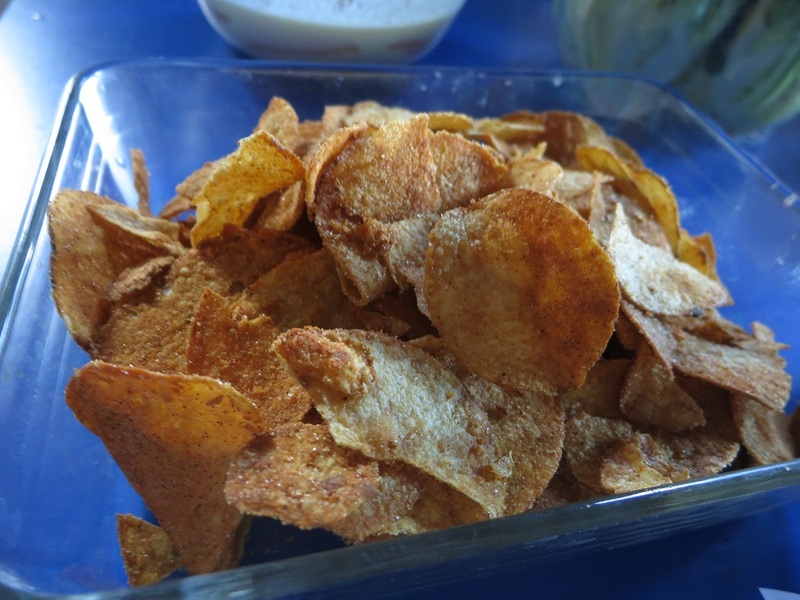 They were good enough on their own that they didn’t really need any additional sauce—even if it was Grippo’s branded.